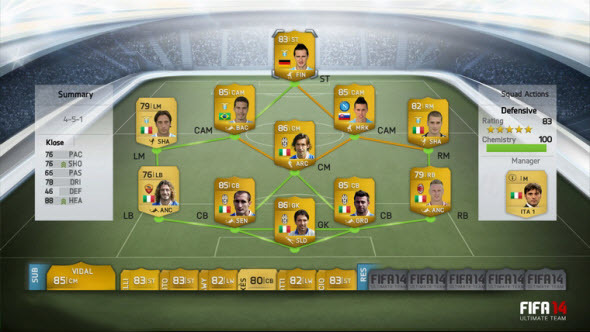 FIFA 14 Ultimate Team is a special game's mode that allows you to create your own team and lead it to the championship. This feature was introduced four years ago, but in new FIFA it will get additional and upgraded settings. Yesterday the developers revealed new information about this mode. The most important part of FIFA 14 Ultimate Team is a chemistry system that is used to customize the squad of players. Now you will be able to adjust every footballer in the team, so each of them will have his unique abilities, and the team will fit any game. Different chemistry styles will be available for defenders, goalkeepers and so on, while you will have to create the squad that consists of various players. Sounds very interesting and challenging. 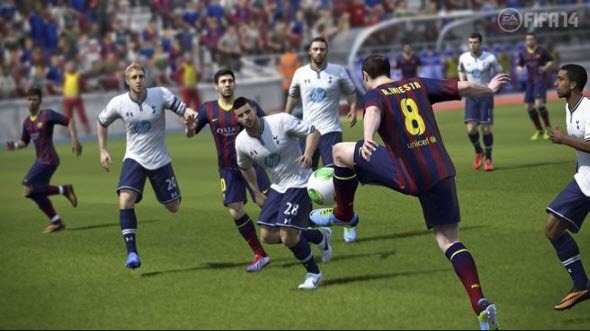 Also the developers implemented online single matches into FIFA 14 Ultimate Team. Now you will be able to compete with real rivals in a single game. Season matches were expanded too. Besides, the developers improved the squad screen, so now it will be easier to customize your team and to find the new players.